Froeigns, who is interested in our gallery. The Letro&loft Gallery welcomes you, artists & creators from abroad. We organize exhibition, we rent a space to artists and rent it as a seminar room. It locates in the center of Kagoshima, the City Hall is in front of us.,the main shopping zone-TENMONKAN is 3-5 minites' walk. 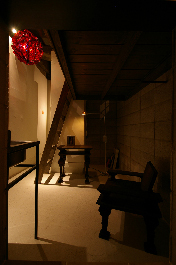 Beside the gallery we see nostalgic area, with a taste of Showa-period. So we named it Retro&Loft. Nostalgia may be a hidden spice to creativity. Nowadays, young artists come to live there and have their studios. If you were a creator or an artist , and may wish to exhibit your works, please contact us. 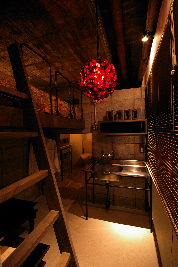 For artists, we offer a small space to stay during the exhibition. 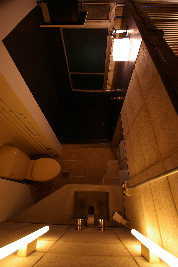 The space next to the gallery is narrow but comfortable with bed, mini-kitchen and shower, toilette. Art in Residence Exhibition is possible here. How exciting for you stay here, you feel as if you were a citizen of the town not as just a foreign tourist. We accept English and Italian language, please contact us and then, let me know about you and your works. We are interested in you.You are welcoming! Hoping that your work will sow the good seed in Kagoshima's art scene.